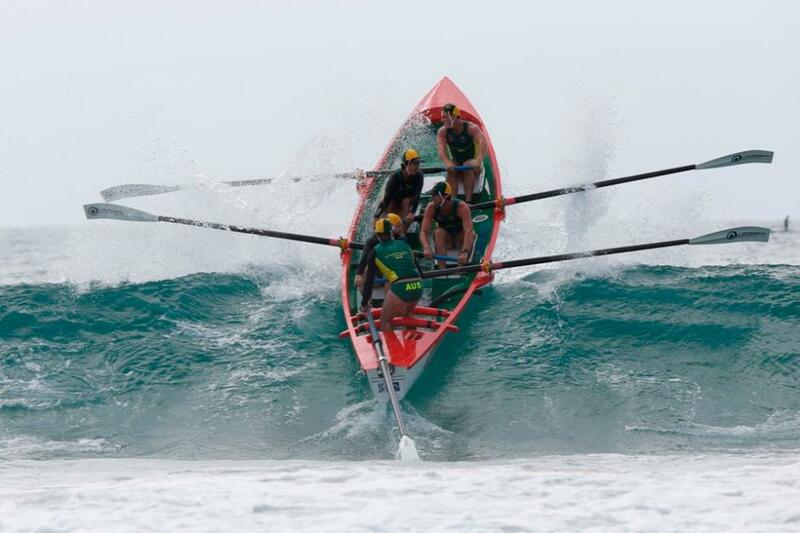 Pittwater's Mona Vale SLSC Open Men's 'Dial Before you Dig' crew of David Schumacher, James Bezer and Jaxon Rudduck, Trent Rogers and Sweep Matt Collins have succeeded in retaining the Trans Tasman International Surfboat Test Title for Australia. For the first time, the series included Development Under 23 Squads of male and female crews. The Avalon Beach SLSC crew, the Pinkies; Sweep Nathan Wellings, Andrew Bright, Nick Sampson, Matt Mayall and Tom Curnow, winning all three of their races. Open Women’s – Torquay SLSC and Open Men’s – Mona Vale SLSC with Australian team manager Brett Main and former Australian cricket captain Michael Clarke at SLSA Jacket presentation - photo courtesy SLSA. 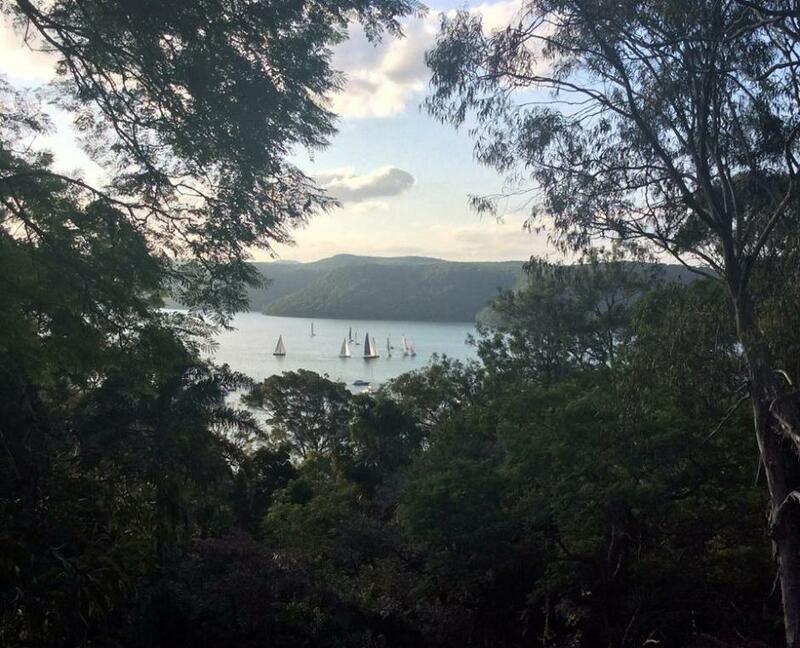 On Friday, February 19th, the Team Navy ASRL- SLSA Interstate Surfboat Championships were held, resulting in a tie between New South Wales and Western Australia with both finishing on 72 points. Five out of the six New South Wales State Representative crews came from Pittwater - four from Palm Beach SLSC and the Avalon Beach SLSC Pinkies taking the Under 23's Division and helping out in the Relay to secure that race too. 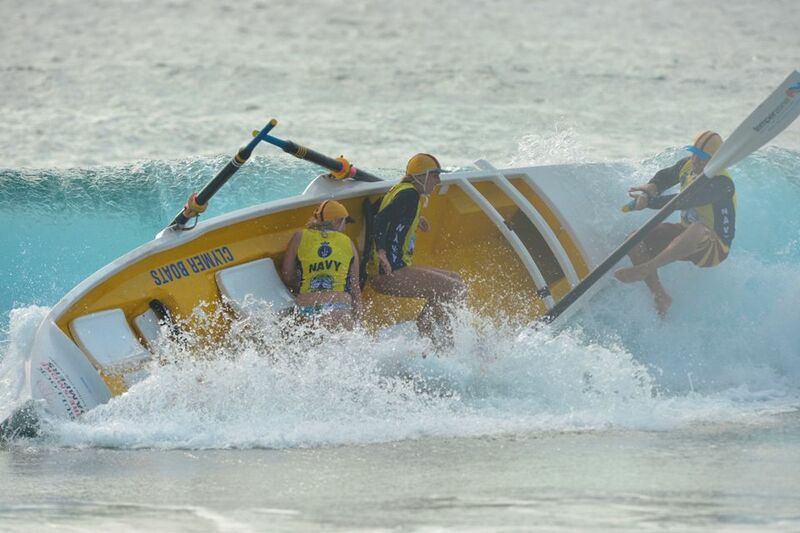 The culmination of 29 events around Australia, the 2016 Team Navy Australian Open is the biggest stand-alone surf boat racing event in Australia and the one every surfboat team wants to do well at. 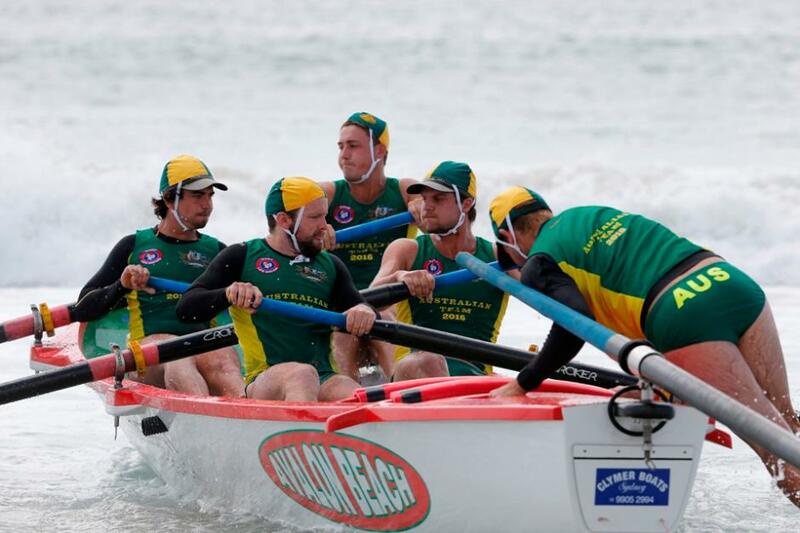 Divisions of surf boat racing being contested at Shellharbour include Open Men, Open Women, Reserve Men, Reserve Women, Under 23 Men, Under 23 Women, Under 19 Men, Under 19 Women and Masters with finals to run today, Sunday 21st of February. Surfboat teams from Palm Beach, Warriewood, Bilgola, Newport, South Narrabeen, Collaroy, Long Reef and Manly are being hosted by Shellharbour SLSC. We spoke to Nathan Wellings and some of his crew members late Saturday to congratulate them and hear how the first two days of their Team Navy ASRL Open championships were going. The Mona Vale Chamber of Commerce’s Fundraising dinner for the Mona Vale Hospital Auxiliary was a huge success on Friday, February 19th with all chairs taken, raising vital funds to support Mona Vale Hospital. The highlight of the evening was an announcement by the Hon. 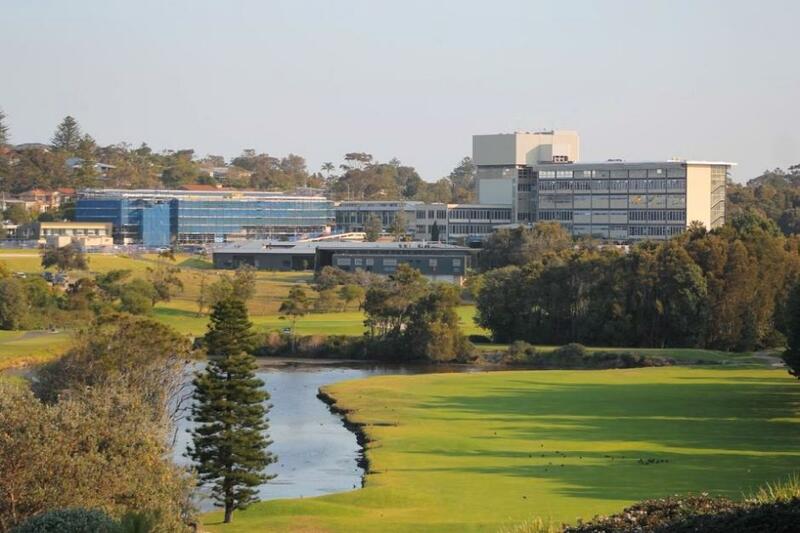 Rob Stokes, MP for Pittwater, that an Inpatient Palliative Care Service for Mona Vale Hospital will finally be realised. 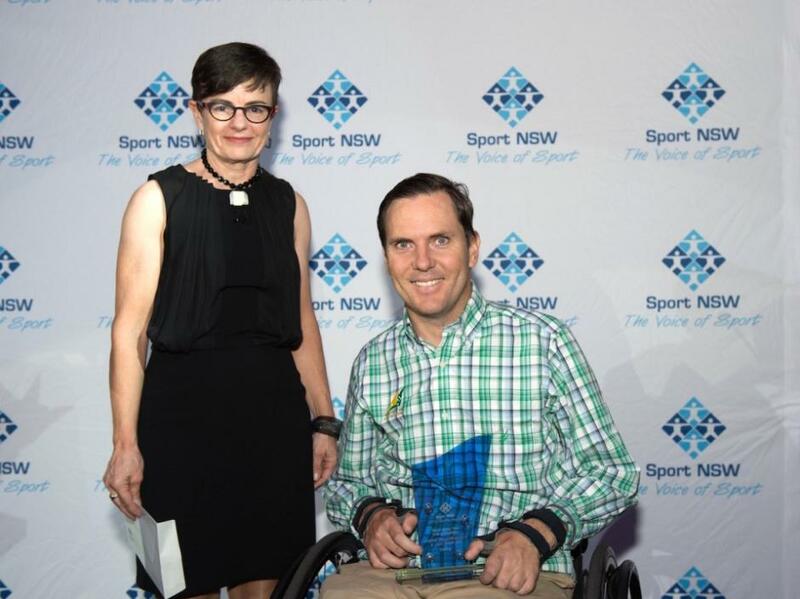 Paralympic and World Champions Daniel Fitzgibbon and Liesl Tesch were crowned the NSW Sports Team of the Year with Disability Award at the NSW Sports Awards Night held on Thursday, February 18th. Dan and Liesel took home the Award amongst a variety of categories honoured at the NSW Sports Awards dinner at Curzon Hall, Marsfield. The Nacra 17 crew of Lisa Darmanin and Jason Waterhouse were finalists for the Team of the Year Award, which went to the NSW Rugby 7’s Team. Trent Herring (Newport Surf Life Saving Club), the 2015 NSW IRB Championships event and the Newport Surf Life Saving Club Male Taplin Team were also finalists nominated for the Sport NSW Awards. Last year fellow clubmate Georgia Miller took out the Young Athlete of the Year category. This year Terrey Hills Australian Footballer Callum Mills has won the award. 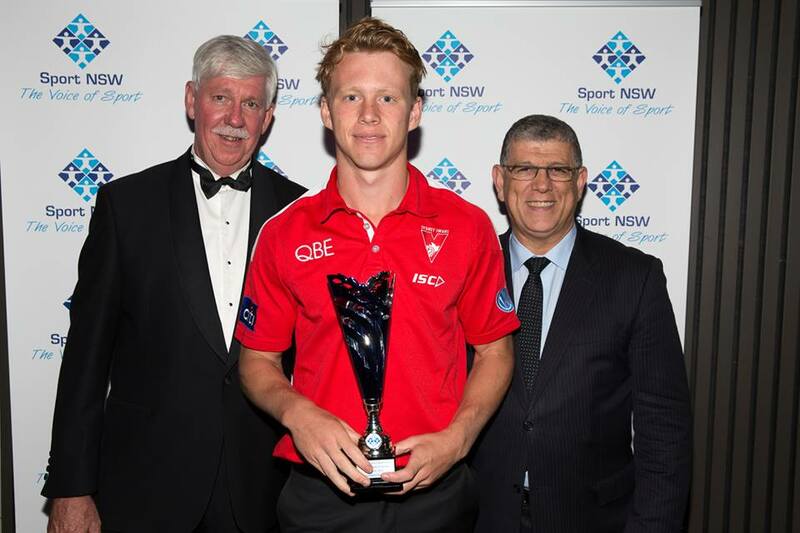 Callum became the highest AFL Draft pick to ever come from Sydney in history, when he was drafted at number three by the Sydney Swans. He is extremely active in mentoring and supporting junior AFL. Callum by nature is very inclusive, he supports athletes from all walks of life and is interested in women’s football. The NSW Sports Awards is an all-embracing event that acknowledges the variety of sporting activity and achievement across the state every year. A total of 15 awards were presented recognising coaches, administrators, volunteers, masters and young athletes and athletes and teams with a disability. Daniel Fitzgibbon and Liesl Tesch were recognised for their unbeaten run since the 2012 London Paralympic Games, which continued over 2015. Since winning Gold at the London 2012 Paralympic games the pair has been on top of the podium at every regatta they have competed at. They produced a dominating performance at the end of 2014 to win the Sailing World Cup in Melbourne, followed by another win at the World Cup in Miami in 2015. Daniel and Liesl won Gold at the Delta Lloyd regatta held in the Netherlands and they both received Sailor of the Year with a Disability at the Yachting Australia Awards in November 2015. Most recently the pair defended their World Champion title at the 2015 Para World Sailing Championships and wrapped up the year with Sailing World Cup Gold in Melbourne in December. “The great thing about sport is the way people with disabilities can get involved, in sport and in life. The Minister was earlier speaking about integration and sport can provide that. We’re out having a go, on the water we’re just sailors, that’s why sport is great”, Daniel said on receiving the award. This Year World Cup winning netballer, Kim Green, has beaten a star-studded field, including Australian cricket captain Steve Smith, AFL’s Adam Goodes, tennis champion Sam Stosur, canoeist Jess Fox and equestrian Shane Rose, to claim the top honour at the NSW Sports Awards announced Thursday, 18 February 2016.